A therapeutic massage especially beneficial for anyone who prefers a deeper massage or wishes to target specific areas of chronic muscle tightness. This massage is result oriented and can be tailored to meet your needs. Add $10 for a deep tissue massage. Add $15 for aromatherapy when added to your massage.. Surrender yourself in this gentle de-stressing massage, composed of long, smooth, gliding strokes. This soothing treatment will leave you floating. Perfect for guests looking for either a deep tissue, neuromuscular or sports massage or a combination of all three. Deep tissue massage is a strong, focused massage that targets deeper layers of the muscle tissue and fascia while breaking down adhesions. Neuromuscular massage utilizes deep pressure and friction to release areas of strain on specific points for relief of pain and promote increased mobility and balance the central nervous system. Sports massage combine deep tissue massage with passive and active stretching techniques the goal is to enhance endurance, lessen the chance of injury and shorten the time needed to recover from an event. Melt away tension and soothe your mind with the comfort of water-heated, smooth lava stones. The natural healing properties of these stones are glided over your body providing deep radiating warmth to your muscles. 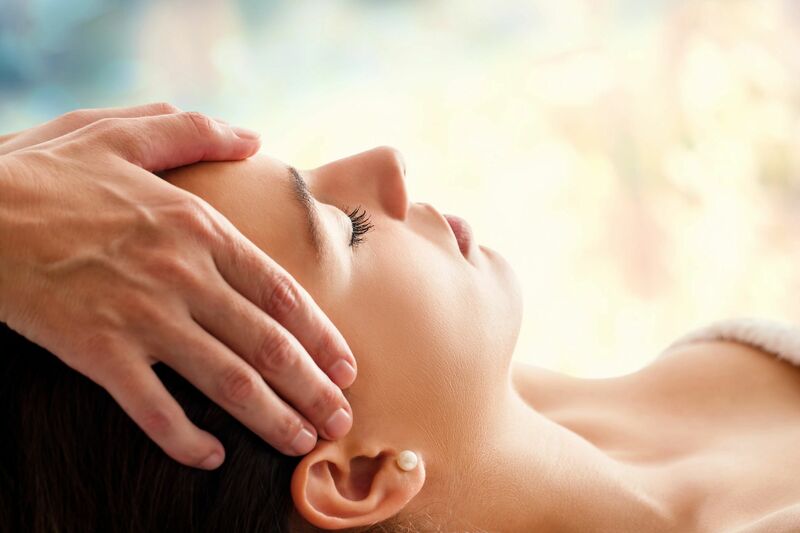 This unique treatment uses acupressure points and massage to help relieve headaches, eyestrain, sinus pressure, nasal congestion, tinnitus, jaw pain and insomnia. Included are upper arms, shoulders, neck, scalp and face. This traditional form of head massage has been practiced in India for over 1,000 years. Perfect on its own or as an add-on to a Massage, Facial or Body Treatment. Do you have a specific area of concern? Try our Targeted Massage with a Registered Massage Therapist to relieve tension. Treat the feet with the ultimate foot pampering, featuring a peppermint massage from the knee to the tips of your toes. This ancient Oriental method of massage is applied to pressure points on the soles of the feet that correspond to internal organs of the body. Through stimulation, energy lines in the body are cleared. Shiatsu is a form of therapeutic bodywork from Japan. It uses kneading, pressing, soothing, tapping, and stretching techniques and is performed without oils through light, comfortable clothing. “Shiatsu” translates as “finger Pressure”. Non-RMT massage. Kalola Life In Balance Spa offers this sleep wellness treatment developed to encourage a sleep ritual and more restful Sleep. Mindful Dreams Treatment incorporates sleep-including therapies designed to induce relaxation and sleep. The Mindful Dreams is an 80-minute treatment that begins with a warm, soothing foot soak and a delicious a cup of our custom blended infused tea. Followed by seven stress detoxifying sequences incorporating sleep-inducing massage, meditation, and breathing techniques combined with our luxurious blend of intoxicating, sleep-inducing essential oils designed for the ultimate bedtime stress-detox to induce relaxation and sleep. Our guests leave inspired to practice the sleep skills they have learned in their everyday life. Lomi Lomi is an ancient form of massage practiced by the Polynesian people of Hawaii. Synchronized hand, forearm and elbow movements mimic the waves and tides of the sea. Each stroke nourishes the body, flushes toxins, and melts away muscle tension. A combination of our Reiki and Relaxation massage. Upon entering the treatment room, your Massage Specialist will instruct you to disrobe and lie down between the sheets on the massage table. You are welcome to keep as many undergarments on as you feel comfortable, but rest assured you will remain properly draped throughout the service for you to enjoy a relaxing, pampering experience. If you have a preference for a male or female Massage Therapist/Practitioner, please be sure to make your request upon booking your appointment.